Exclusive design by World Buyers! 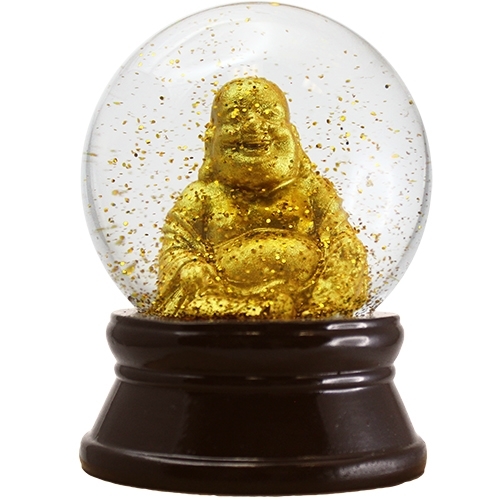 Beautiful gold Buddha glitter snow globe. Dark rosewood colored base (resin). Shake gently in palm of hand and watch the lovely swirl of gold descend. Also available in small size JAC22WB.